A woman riding the world’s tallest swing accidentally captured an incident that saw her iPhone plummet 450 feet to the ground. 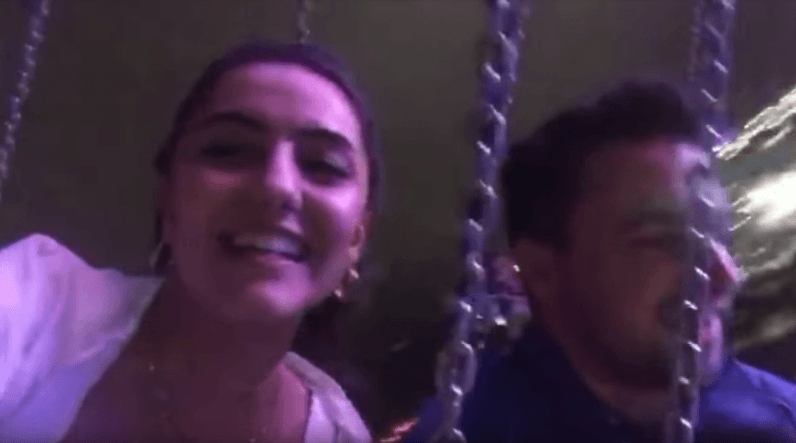 Despite warnings by management not to bring loose items on the ride, Cansel Yildirim whipped out her iPhone 7 Plus for some amateur photography atop the StarFlyer, a massive swing at Magical Midway Thrill Park in Orlando, Florida. After filming for just over 30 seconds Yildirim lost her grip on the mobile device, shrieking in horror as it fell more than 400 feet to the ground below. Once the ride ended, the woman used the Find My iPhone app to locate the device, which, miraculously, suffered only minor damage — even though it wasn’t in a protective case. “It is truly a miracle that nothing has happened to my phone as it didn’t break or crack at all,” Yildirim told Orlando’s News 6. And while this story has a happy ending, it’s important to note that it’s not just your property that theme park employees are trying to protect when they warn you not to bring on on these types of rides — it’s the people below, who the phone could have hit on the way down. Still, it’s a pretty incredible video. Fast forward to around 35 seconds to see the good stuff.